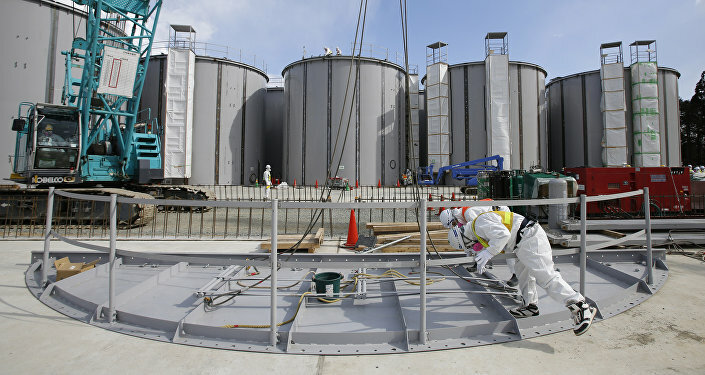 Radiation levels inside the damaged Fukushima nuclear power plant have been labeled “unimaginable” by its owner Tepco. But how strong is a 530 sieverts/hour (Sv/hr) level of radiation? Strong enough to kill a machine designed to withstand just such an occurrence, and in less than an hour. Tokyo Electric Power, or Tepco, assisted in the 1970s design and construction, and ran the Fukushima-1 nuclear power plant. In March 2011 the plant suffered the simultaneous meltdown of three of its six reactors after it was hit by an estimated 42-foot tsunami, following a six-minute magnitude-9.0 submarine earthquake about 43 miles off the coast. The reactor failure is the world's worst nuclear catastrophe since the 1986 Chernobyl reactor explosion and fire. Tepco is charged with decommissioning the damaged nuclear power plant, and the process has already proven itself to be a highly-complicated and staggeringly expensive task, especially now, considering the recent measurements. To assess what is occurring inside one of the reactors, Tepco sent in robots which returned the eyebrow-raising figure of 530 Sv/hr. To better understand this figure, a dose of one Sv/hr in a human is enough to cause radiation sickness and nausea. A 10-Sv/hr dose causes death within several weeks. Current radiation levels inside the Chernobyl reactor amount to about 34 Sv/hr, which is lethal to a person in about 10-20 minutes. Contrary to popular belief, radiation does affect robots, and 530 Sv/hr is enough to kill not one, but five Tepco robots, very quickly. The Tepco robots are purposefully designed to withstand large amounts of deadly radiation. According to media reports, after losing five robots, Tepco will now deploy what it considers to be a particularly tough variant, designed to withstand 1000 Sv/hr. Even so, that robot will only be able to survive for about two hours before it breaks down. This latest Fukushima radiation reading is far higher than the previous highest recording of 73 Sv/hr. According to the Japan Times, the reading was taken in a space just below the pressure vessel, which contains the reactor core. The extremely high radiation levels suggest that melted fuel escaped the pressure vessel. Tepco robots identified a hole, about one meter in diameter, in a metal grating beneath the reactor's pressure vessel. For Tepco, the decommissioning process has suddenly become much more difficult. The company has been under intense pressure, not only for its culpability in the environmental disaster, but also for its inability to keep to the stated cleanup timeline. The nuclear fuel is supposed to be removed from the reactor by 2018, so that crews can proceed with dismantling operations, but Tepco is far behind that original projection. Costs are also skyrocketing as, combined with decontamination and compensation payments, some $187 billion is expected to be spent, most of which will come from the Japanese treasury. Total cleanup is expected to take 40 years. But for now, Tepco must first understand how to approach the deadly environment. The removal of the melted fuel represents "a challenge unprecedented in the history of nuclear power," according to The Guardian. Russia offered assistance in overcoming the consequences of the Fukushima incident, just days after the disaster occurred. It was not until Russian President Vladimir Putin's December 2016 visit to Japan, however, that Tokyo and Moscow signed a memorandum of understanding regarding nuclear power.